NATO terror network implicated in Bangkok blasts, appears to have been running Uyghur terrorists through Asia, into Turkey and onward to fight NATO's proxy war in Syria. September 4, 2015 (Tony Cartalucci - LD) - An unprecedented blast in Bangkok, Thailand last month left 20 dead and over 100 injured. The blast was the latest in a string of violence carried out by US-backed proxy Thaksin Shinawatra, who himself was ousted from power in 2006 and finally had his political party removed from power completely in 2014 after massive street demonstrations and a military coup toppled the regime headed by his own sister, Yingluck Shinawatra. 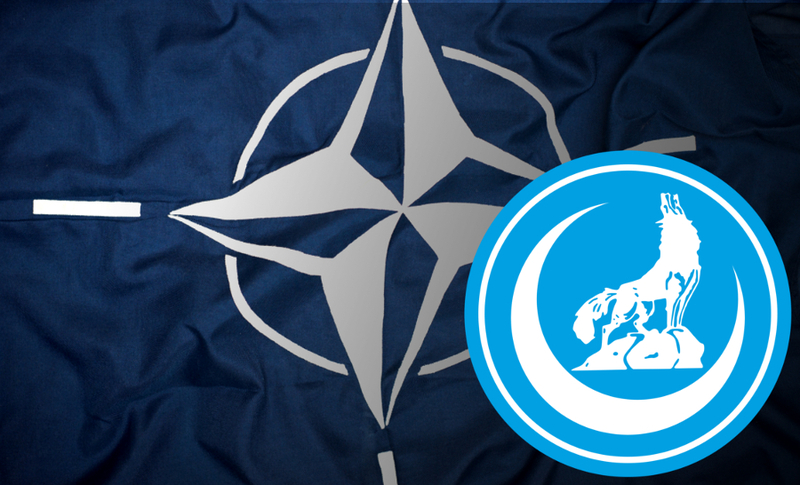 Image: NATO created and funded the Grey Wolves terrorist network during the Cold War as part of its stay behind networks. Instead of fighting non-existent Soviet invaders, they were used instead to kill NATO's political enemies by the thousands. Today, the Grey Wolves are represented by the Nationalist Movement Party (MHP), the third largest in Turkey's parliament. They are reported to operate globally, including terrorist training camps in Xinjiang, China. While the blast represented an escalation in violence, it should be remembered that terrorist networks operating in support of Shinawatra have carried out egregious acts of violence in the past, including fielding up to 300 armed militants in Bangkok's streets in 2010 leading to weeks of gunbattles between Thai troops and Shinawatra's armed supporters, leaving almost 100 dead and culminating in city-wide arson. As for bombings themselves, while generally these networks have used grenades to attack institutions and individuals perceived as enemies of Shinawatra and his foreign sponsored agenda, precisely the same pipe bombs used in the August blast have been implicated in explosions in 2010 and 2014 where bomb makers accidentally killed themselves while assembling devices. In February 2015, a double pipe bombing would be carried out just down the street from where the most recent blast occurred. The devices used were linked to the 2010-2014 incidents. And while it is clear the bombing was used as a form of violent coercion against a Thai government increasingly drifting away from accommodating both Shinawatra and the foreign interests he represents and closer toward regional partners including China, what was not certain was which networks specifically these interests used to carry out the attack. Recent evidence has emerged as several suspects have been identified and arrested, suggesting this network includes NATO's "Grey Wolves" and several other Uyghur groups long backed, funded, and directed by the US as a means of eliminating its enemies across Eurasia and up to and including China. In addition to carrying out attacks in Thailand, they appear to have also been moving militants from across Asia and feeding them into NATO's proxy war in Syria. In the immediate aftermath of the bombing in Bangkok, the BBC would be the first to float the idea the blasts were in retaliation for Thailand's deportation of Uyghurs to China - Uyghurs apparently on their way to fight in NATO's proxy war in Syria - according to Reuters' report, "Uighurs 'on way to jihad' returned to China in hoods." 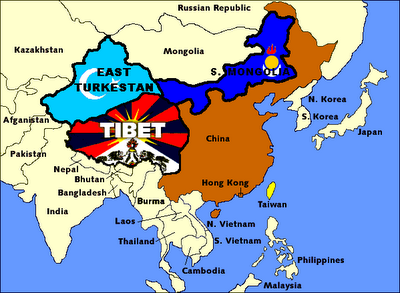 Images: The US State Department's NED refers to China's Xinjiang region as "East Turkistan," a fictional realm that does not exist. The US seeks to either destabilize or carve off a vast sum of Chinese territory through supporting terrorism in western China. 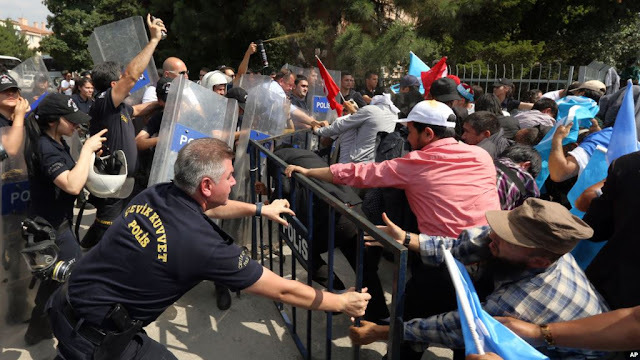 On the very same day when the deportations occurred, Thursday July 9th, protests broke out in Turkey, both in Ankara the capital, and in Istanbul at the Thai consulate. Leading the protests in Ankara was the World Uyghur Congress (WUC), a US-funded, Washington D.C. and Munich based political front that specializes in supporting terrorism under the guise of defending "human rights." Image: Thailand's consulate in Istanbul Turkey was destroyed on the same day Thailand deported Uyghur terror suspects back to China. One may find it difficult to speculate who on Earth currently possesses the operational capacity to organized a same-day retaliation anywhere in the world besides a handful of actors - NATO among them. WUC admits that violence broke out among the mobs it was leading in Ankara but denied any affiliations with the protesters in Istanbul who attacked the consulate and destroyed it on the same day, in the same country, over the same alleged grievances. 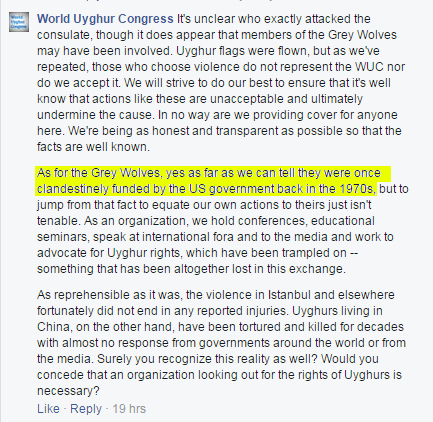 WUC itself suggested it was the work of the "Grey Wolves," an organization they admit was "clandestinely funded by the US government." The Grey Wolves are comprised of Turks and Uyghurs, and throughout the Cold War served as part of NATO's "stay behind networks" referred to as Gladios. They were used to purge NATO's enemies from Turkey in bloody violence that would leave over 6,000 dead. 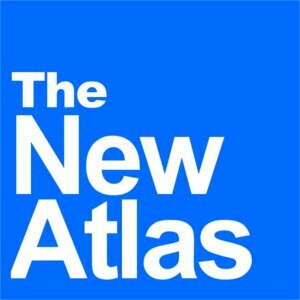 Since the Cold War, the Grey Wolves have set up operations internationally, including terrorist training camps in Xinjiang, China - all indicating that NATO's Gladio has gone global. Image: The US-based and funded World Uyghur Congress admits it led mobs on the same day the Thai consulate was attacked. 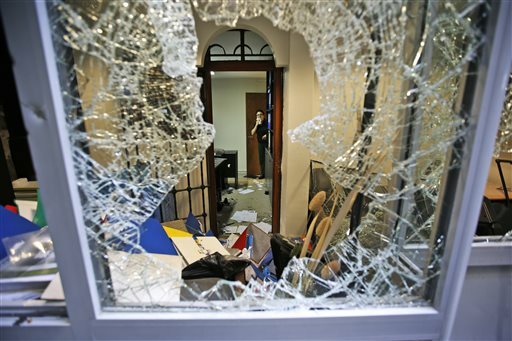 Their mobs in Ankara also turned violent, however Turkish police were able to maintain control. 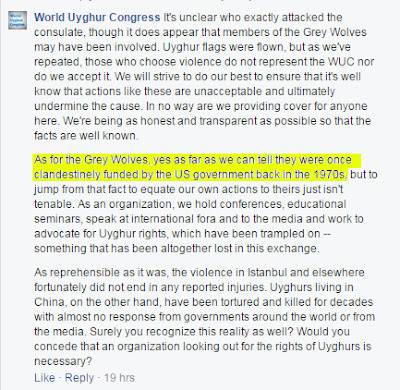 While WUC claims they have no ties to the Grey Wolves they claim were likely behind the consulate attack, they admit they, like WUC itself, have been funded by the US government. During the days following the Bangkok blast, the Foreign Correspondents Club of Thailand (FCCT) would give a presentation implicating the Uyghur-linked Turkish "Grey Wolves" terrorist network. The FCCT is a group of foreign journalists from several of the most prominent Western news networks including the BBC, CNN, Reuters, the New York Times, Associated Press, and Agence France-Presse. They have systematically manipulated events in Thailand in efforts to support the regime of Thaksin Shinawatra. The goal of the FCCT's recent presentation was to help deflect as much blame as possible from Thaksin Shinawatra over the bombings and to suggest Thailand faces "international terrorism." Despite the detailed presentation the FCCT provided and the immediate headlines across the Western media attempting to sell the theory to the public, no mention ever was made of the Grey Wolves' NATO or US funding. Similarly, no mention has been made by the Western media regarding US funding and support behind many, if not all Uyghur opposition groups both in Xinjiang and beyond. 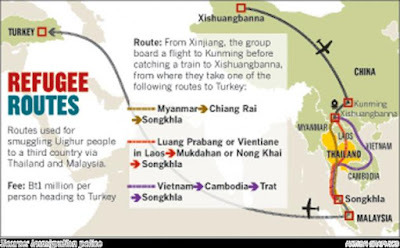 What is clear is that Thailand has inadvertently stumbled upon a highly organized, well-funded, international criminal and terrorist network operating from Xinjiang, China, across Southeast Asia, and as far as Turkey and Syria. This terrorist pipeline appears to have been "tapped" by those seeking to undermine the Thai government, causing its toxic contents to spill over into the ongoing crisis already racking Thailand. That the Grey Wolves, Uyghur opposition front, and Thaksin Shinawatra are all backed by the US and instruments of US global hegemony, indicates that such instruments often share resources when necessary and are even used interchangeably. 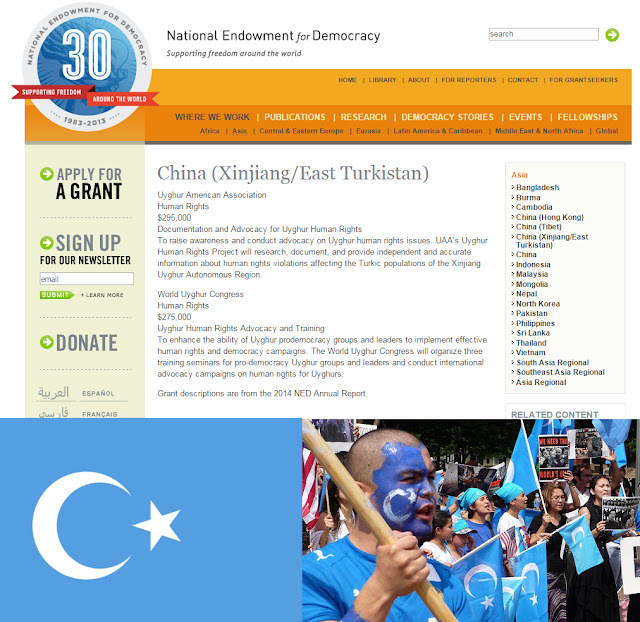 NGOs created and maintained in Thailand to support the regime of Shinawatra now cover for Uyghur terrorism, and Uyghur terrorism used against China and Syria is now used to strike hard at Shinawatra's political foes. In retrospect, should Thailand not have expelled the Uighurs to China? Or to be more precise, should the ruling junta, which is not fully recognised by the democratic world, have been less responsive to Chinese demands? 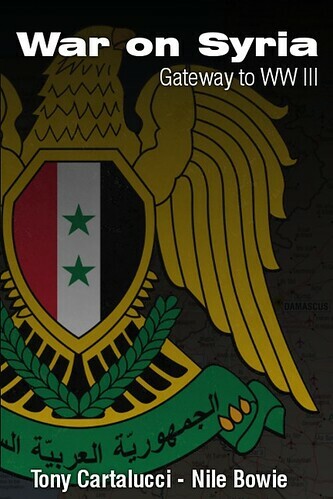 National interest always comes first in a country's diplomacy. But being so accommodating to a superpower's demands, making Thailand the target of an international outcry and what is looking increasingly like an international terror attack, does not bode well for the country in the long term. It should be noted that the author uses the term "international" to describe what is exclusively the US and Europe's "recognition" and "outcry." This op-ed and many like it pervading the Western media are sending a message to the Thai government that failure to comply to the demands of the "international community" will result in terrorism - whether it is a mob destroying your consulates abroad, or bombs exploding in the heart of your nation's capital. And while this "international community" has many terrorist proxies to use against Thailand, it appears they have selected their "Uyghurs" to stand in the front ranks. Ousted-exiled dictator Thaksin Shinawatra most likely still possesses the terrorist networks and paramilitary organizations he created and eagerly used during his time in power. However, by using them, he would only further justify the current government's moves to permanently uproot Shinawatra from Thailand's political landscape. Just as NGOs assigned by the West to support Thaksin Shinawatra have now become instrumental in justifying and manipulating the recent Bangkok bombing, the West's terrorist networks used to destabilize nations elsewhere from China to Syria have had terrorism in Thailand apparently outsourced to them. So far, the investigation suggests this network has been in Thailand for years, long before the deportation of Uyghurs in July. Evidence also suggests a link between the uncovered terror network and previous terror networks uncovered at the height of Shinawatra's violence in 2010 and 2014. A large amount of forged Turkish passports and ties to Uyghur trafficking networks appear to implicate the terror network in what Syrian and Chinese authorities have attempted to expose for years now - a terror pipeline feeding militants from all over the globe first into Turkey where they are armed, trained, and staged, then into Syria to fight NATO's proxy war against the government in Damascus. It should be stated that the vast majority of China's Uyghurs do not support the aspirations of the terrorists and US-funded fronts which claim to represent them. Forty-five percent of Xinjiang's population - some 10 million people - are Uyghurs. It is likely that if even half of them supported violent separatism, they would have already gained their "independence." In reality, Uyhgurs are perhaps the first and foremost victims of US-backed terrorism in Xinjiang and beyond. Those who seek to live in peace and stability with their Chinese compatriots, and who condemn the means and methods of US-backed groups are themselves attacked. The most prominent example of this is that of Imam Jume Tahir, 74 years old, hacked to death in front of China's largest mosque by terrorists. The imam had openly condemned US-backed violence and in particular called for street clashes with Chinese police to end. Image: Uyghurs in China who attempt to lead normal lives often find themselves the primary target of US-backed terrorism. The mosque pictured above, the 600 year old Kah Mosque, saw the murder of its imam, Jume Tahir, by US-backed terrorists for the "crime" of condemning violent protests. 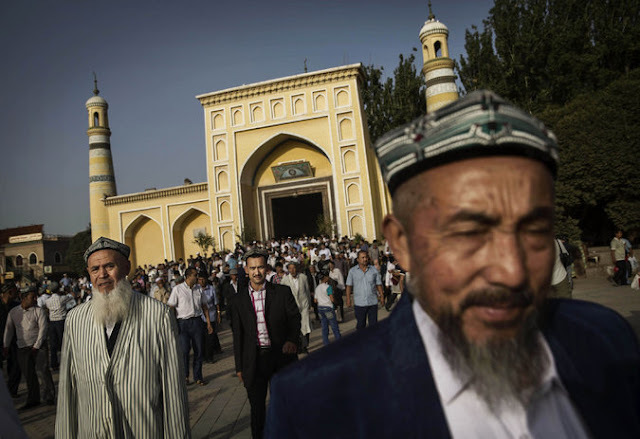 Dilxat Raxit, a spokesman for the World Uyghur Congress, an exile group based in Germany, condemned the harsh sentences for the defendants in the imam’s murder, saying they would do little to stem the rising tide of Uighur discontent. Dilxat Raxit, spokesman for the exiled political organization World Uyghur Congress, told Reuters that local Uighurs, “suspected that he had a special relationship with China’s Ministry of Public Security” and that he helped the authorities monitor Uighur religious activity. His support for Beijing most likely bred resentment among Kashgar’s Uighurs, many of whom disdain the central government. No where can it be found in WUC's many US-funded press releases, congressional assemblies, or publications anything even closely resembling condemnation for the murder of an unarmed elderly man who advocated non-violence. WUC's message, like that of the Western media in the wake of the Bangkok blast is simple - do business with China and you will die. In this it is clear that "Uyghur terrorism" is simply another attempt to conceal what is essentially yet another tool devised to achieve and maintain American global hegemony. Looking at a map of China, it is clear why this otherwise minuscule, obscure ethnic group has been propelled to center stage by American interests. Image: The US has much to gain by backing separatists in western China. The Xinjiang region along with Tibet, if successfully destabilized or carved off from China, would sever Beijing's long-laid plans to construct a modern-day Silk Road. It would deprive China of both its territory, its resources, and drive tens of millions of its people eastward from their homes in a refugee crisis that would strain the very stability of Chinese society. And because the US-Uyghur cause is not genuine nor enjoys popular support even in Xinjiang, it is no surprise that those willing to participate can be persuaded to fight overseas in other projects of American hegemony - essentially as mercenaries. The use of minority groups to divide and destroy a targeted nation is a tactic as old as empire itself. And while the Western media works ceaselessly to explain how various organizations, advocacy groups, and militant fronts all operate in an apparent vacuum, only "coincidentally" propelling US foreign policy forward, it is clear through both a study of history and current US policy papers that global hegemony is still at the very heart of Western ambitions globally and includes all forms of coercion, from propaganda to paramilitary groups. In one of the most recent US policy papers on the subject, published this year by the influential Council on Foreign Relations - a corporate-funded think tank that represents the collective interests of some of the most powerful Western corporate-financier interests on Earth - the goal of maintaining "primacy in Asia" is literally spelled out. The report was written by US political administrator and political lobbyist Robert Blackwill who has throughout his career played a role in grooming prospective client regimes in Asia through which the US planned to maintain its regional primacy. Among these client regimes was Thaksin Shinawatra himself. The use of violence and terrorism by Shinawatra to take and maintain control over Thailand is well documented. To think that the US would simply abandon its aspirations to control Thailand, or other nations throughout Southeast Asia vis-a-vis China would be misguided. What would be predictable would be instead an increase in terrorism and political destabilization. Thailand is now being coerced through a concerted campaign of propaganda and organized violence, seized on by Shinawatra's supporters who are eagerly exploiting the socioeconomic and political damage the recent bombing has incurred, while so-called "rights" advocates invent creative defenses for otherwise indefensible violence directed at entirely innocent people. Gladio was successful throughout the Cold War because those among NATO who employed such tactics did so within their borders. "Global Gladio" has networks stretching around the world, vulnerable to police and military operations carried out by host countries. While the bombing in Bangkok appears to have been aimed at the government for its continued attempts to remove Shinawatra from power and divest from American interests by moving closer to China, the bombing itself stands as the single greatest example of just why Thailand has chosen to change tack in the first place. Accelerated military and counter-terrorism cooperation with China will now be necessary to ensure the peace and security of both nations. As long as one serves as a base of operations for terrorism aimed at the other, neither will be safe. For Thailand specifically, it is clear that Shinawatra's political existence was meant to infiltrate and overwrite Thailand's current political order. While threats and terrorism are being used to coerce Thailand into accommodating Shinawatra, it should be noted that by doing so, violence, division and destruction are all that await Thailand as a guarantee. The slow, patient dismantling of his political networks, along with a measured pivot toward Beijing appears to be Thailand's best bet. For the rest of the world - NATO's "Gladio" networks are vast and varied. From Ukraine to Syria to Thailand, the most violent and criminal elements in any given society have been organized by the West in a bid to divide, destroy, and dominate the planet. From the original Gladio program in Western Europe, the means of expertly manipulating these criminal gangs has been perfected. Increasing awareness of how Gladio works will not only better arm society to take action against it, but perhaps even dissuade eager criminal elements from joining organizations that are essentially cannon fodder for NATO.